On December 8, 1953, a tall lanky attorney from Baltimore City, Maryland. This black man who was raised in the bastion of segregation stepped before those nine jurists of the Supreme Court and made his plea for the abolishment of segregation in all public schools in this country? What follows today’s on my blog is big a what if? 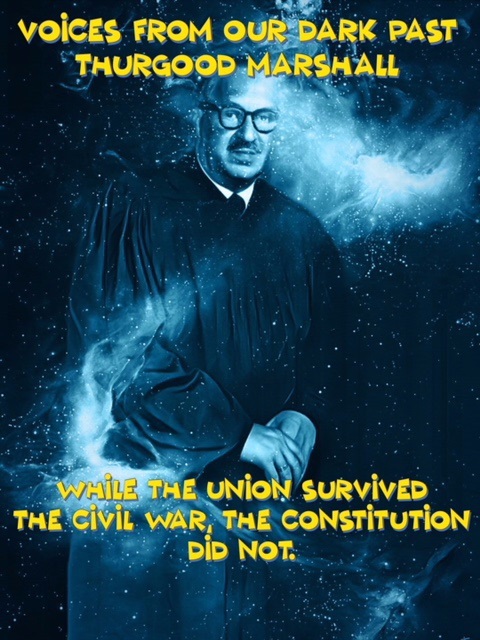 What if the late, great, dynamic, and honorable former Justice of the Supreme Court, Thurgood Marshall, who on this particular day represented every black person in the United States who were suffering, or had suffered by this vicious mandate of injustice. The key question that Judge Derrick Bell proposed in his book “Silent Covenants” is the same question I propose to my blog followers today. What if rather than focusing on eliminating the Supreme Court’s ruling of 1896, Plessy vs. Ferguson, Thurgood Marshall and the NAACP had demanded that America abides by Plessey ruling? What if Mr. Marshall demanded that separate but equal statute between the black and white race truly be the law of the land? That equality in the separation of the core and ancillary institutions exist in America? How would Americans of African descent have benefitted from that argument presented to the Supreme Court of the United States that day? Agreeing with the white majority that racial integration was not going to work in 1953 in this nation. So, rather than seeking integration of the races which most likely 80% of White Americans opposed including President Eisenhower, especially the integration of public schools? We proffered an alternative solution to the United States Supreme Court that day in December 1953.
honored members of the Supreme Court. I come to you today perplexed, confused, yet determined to seek a solution to this issue of the complexity of this nation’s problems related to the color line. The color line in the United States of America was not devised by GOD, a GOD who deemed all mankind, yes all humans equal in stature, equal in human rights, and equal in that man’s ability to express his allegiance to the GOD he or she may worship. The color line I speak of is the devious, disheartening, and historically violent-laden color line created by the white majority of this nation who supported racial oppression over the past 3+ centuries. That United States color line that separated black from white and white from black, the color line that allowed this sacred court to once judge that a black person had no rights that a white man had to honor in the Dred Scott decision of 1858. That ill-conceived decision in 1858 led this nation to the battlefield. The battle was fought to decide if this nation would be a nation where the cost of labor and freedom would be determined solely on the color of a man’s skin, or the content of a man’s genetic code. When the war ended with a victory by Union forces which was to end the separation of the races and provide equality in all aspects of citizenship for Americans of African descent, Reconstruction, collapsed because the majority of southern whites could not accept racial equality between the races. Something had to give in this nation, so, the Supreme Court stepped in 1896. The Supreme Court decided that this nation should illuminate the racial color line with the Plessey vs. Ferguson decision. This decision judged racial separation as fair and honorable as long as both parties had equality of resources available to each race. Well, after almost 6 decades it has been proven that the equation of fairness in resources has been a one-sided affair tilling unfairly to the white race. Today, I propose a solution that will reinforce that magnificent judgment of 1986. Americans of African descent aren’t proposing the elimination of the 1896 separation decree, rather, we propose that the decree of 1896 related to the issue of separation of the races be fully and democratically implemented forthwith. This nation has vigorously fought for racial separation historically, the white majority has always seemingly challenged any attempt to implement racial integration. We Americans of African descent while not giving up any vestiges, or rights of citizenship in this nation provided by the 13th, 14th, 15th, and 19th Amendments have decided that we no longer need to satisfy an urge to be where we are not wanted in certain aspects of this society. The following examples are core to our essential argument regarding acceding to the wishes of the Plessey v. Ferguson judgment. 1. If this nation’s majority race doesn’t want to go to school with our black children, cool, we demand that our black educational institutions be totally equal in terms of funding and resources to the white educational institutions. 2. Cool, if you don’t want to live in homes near us, or reside in housing facilities near us, or with us. We as proud people of Americans of African descent don’t want to live in areas we aren't wanted. However, we refuse to accept living in squalor, living in homes unfit for human existence. So, provide our people with the resources and land to build up and create our own communities, our own homes. Surely Americans of African descent have the motivation to build our own flourishing black communities. Since our ancestors built your flourishing white communities. Simply, provide the resources necessary to eliminate the squalor and ghettos your white institutional racist policies created. 3. If you don’t want to eat with us, cool, we cooked and fed your white ancestors for centuries for free. Our ancestors were brutalized, terrorized, and ravaged while doing so. So, surely provide us with ample land that was promised our ancestors with Sherman’s Field Order #15, and we will be able to grow our own to feed our own. 4. Our black communities can educate, feed, motivate, police, encourage, and love our own and still have enough energy to love white American as citizens as long as they don’t decide to encroach, terrorize, or disrupt our black communities. 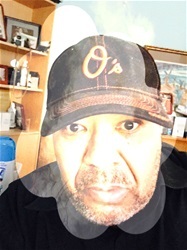 We will not accept any longer acts of terror against any Americans of African descent by White American that leads to unjust acts of murder and mayhem without full, and judicious prosecution, period. If Americans of African descent act in any sorted way against white Americans we will accept legal prosecution, no longer will white mob violence be acceptable, period. As I close my argument this morning to this illustrious body we say simply give all Americans of African descent the true equality of resources you have promised and we won’t seek racial integration. We agree with our colleagues on the other side of the table. The majority race wants absolutely no part of racial integration at this specific point of history. However, the price that must be paid has to be financial equality of resources; this will enable that racial separation to exist equally. The white majority must repair the harm that has been perpetrated on Americans of African descent for this past 57 years regarding the historic court decision of 1896. Black Americans must be able to feed, cloth, educate, and police their communities. These communities must develop fully all of the institutions in order to prepare the citizens within the community the ability to compete in this nation and the world. Finally, when we are placed in a position to us the majority race's facilities, those facilities must be equal. This pertains to interstate transportation, hotels and motels, and economic opportunities related to employment. Thank you for the time and consideration. The Americans of African descent await your prompt decision.